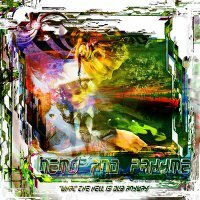 This week I was introduced to Noisehead.com, a website where independent artists can release music electronically. Local singer/songwriter Derek Joseph Holmes recorded an album this past December and has just released it on Noisehead. 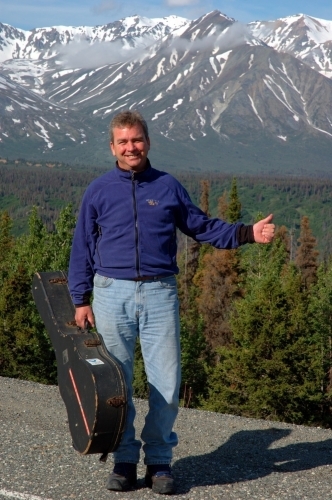 I’ve seen him perform at various local venues and love both his voice and his beautiful guitar-playing. As soon as I heard he’d released an album, I went to check out Noisehead and have now banned myself from listening to him at work because it’s much too distracting. (Did I mention I’m a sucker for a guy who can sing? Excuse me while I go find a mop to clean up the puddle where I melted on the floor.) My especial favourites are “The Garden” and “The Shores of Normandy”. What are you waiting for? Go check it out! And if you like what you hear, you can buy the tracks for the bargain price of $0.69 each. In other local music news, my friend Nita who plays the bari in The Big Band also has big news these days. 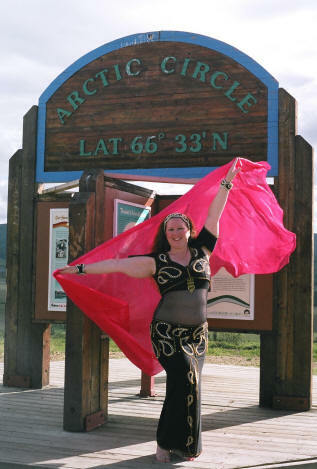 Nita teaches belly-dance here in Whitehorse (check out Celebrations Bellydance) and also leads a belly-dance troupe, the Saba Middle-Eastern Dance Ensemble. She was recently invited to become affiliated with a famous and internationally-respected belly-dance school in Toronto, Arabesque Academy. The invitation is a real honour and recognition of the quality of Nita’s school and teaching. To celebrate, there is going to be a reception tonight at Arts Underground at 7:00, where Saba will perform a few dances and serve refreshments. I’m excited about the party and a fun show! As if that weren’t enough, my friends Daniel and Galen Ashley, who are two seriously accomplished musicians/DJs and well-known locally, are having a release party for their album “Root Sellers” tonight at Coasters starting at 9:00. I’m embarrassed to admit that although I know them both and have also read about them many times in local news, I’ve yet to actually make it to any of their performances. I’m hoping to correct that tonight, right after the belly-dance reception. It’s a good thing Michael is flying home today, because it seems like it’s going to be a full night! And remember, there’s the Big Band dance tomorrow night at Mount Mac! Wow! A belly dance troupe in Whitehorse! Now I WOULD move there if I could ’cause it’s got everything I need! I wish I could go and watch a show. I’m stuck in the Pacific Northwest bellydance scene and it would be nice to see some variety.